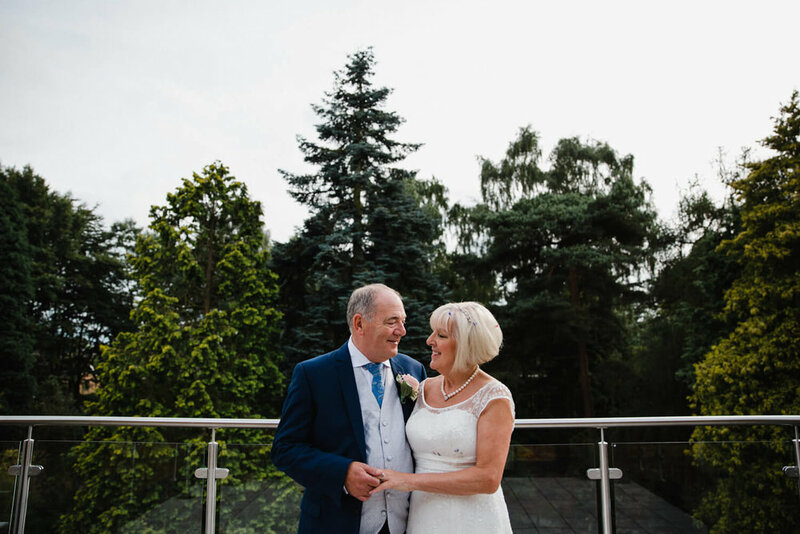 I had a great day with Barbara and David for their wedding at Stanneylands Hotel in Wilmslow, Cheshire. Fortunately, what turned out to be a rather wet week in July completely dried up for their wedding day at the weekend and from then on I could tell we were going to have a great day for their wedding. 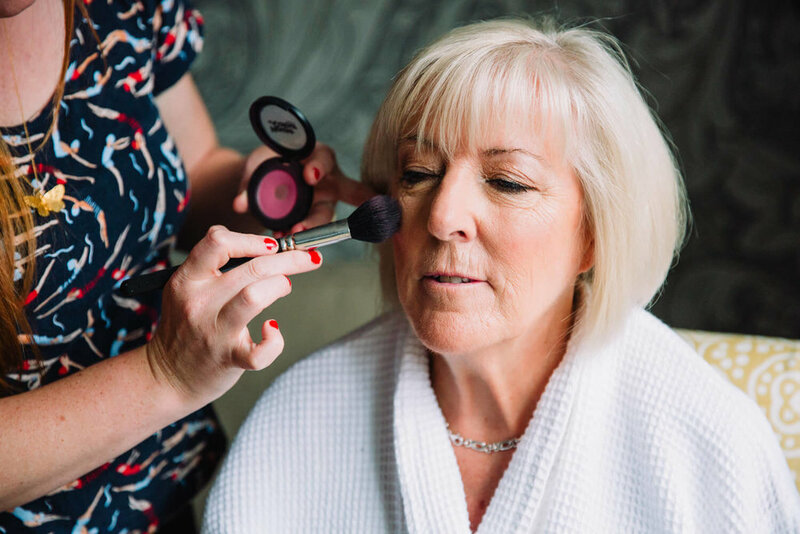 I met Barbara and her bridesmaids in the morning over at the hotel where they were having their make-up applied before cracking open the champagne to calm the nerves. 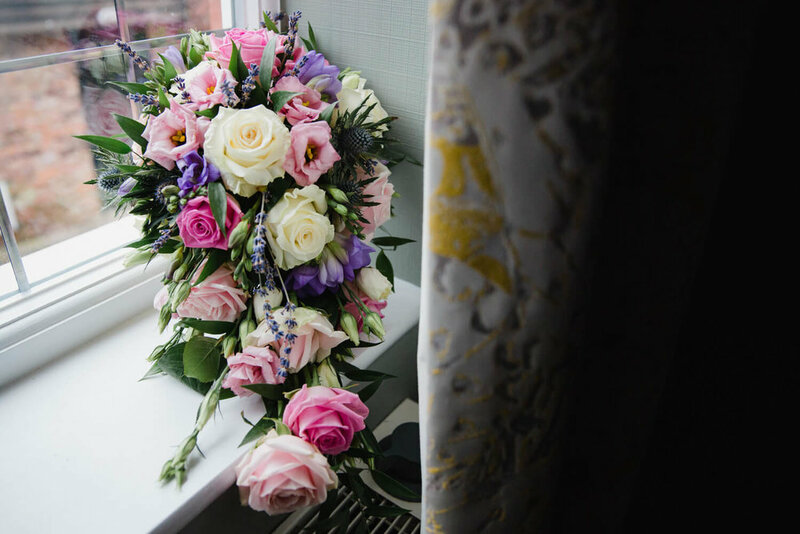 The bouquets were all boxed and laid out on the bed ready for the bridesmaids to hold, wedding dress was hung up on the wardrobe waiting to be worn by our bride - everything was ready and set up for the day to remain relaxed and calm, just the way we all like it! Speaking of relaxed and calm; I then met our Groom, Dave down in the lobby of the hotel. Dave seemed a little nervous, but that soon passed once he'd had a drink down at the bar with his Groomsmen. Before you knew it we were down at the Reception fastening pinhole flowers to suit lapels and off the the top of the ceremony aisle to await Barbara's grand entrance. Barbara looked stunning as she walked down the aisle behind her bridal party. 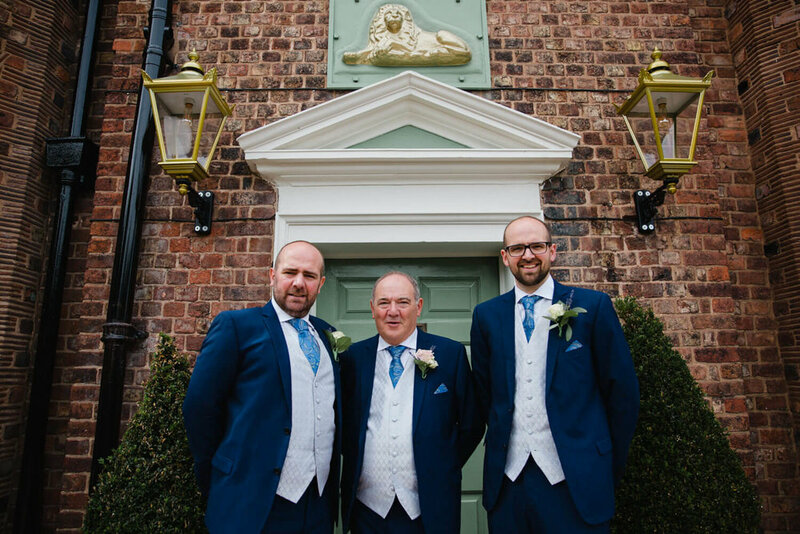 The newly refurbished wedding ceremony room at Stanneylands works really well in creating a nice glowing backdrop to the photographs. 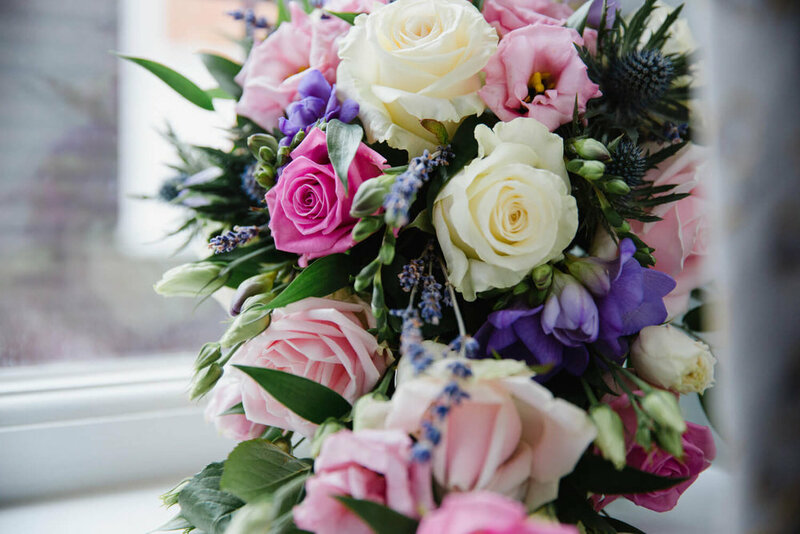 This allowed me to capture some gorgeous moments throughout, with the wedding vows and rings being exchanged before the first kiss, all captured beautifully. It was then outside for the cocktail hour and drinks before the guests threw confetti over our lucky bride and groom in the hotel entrance. 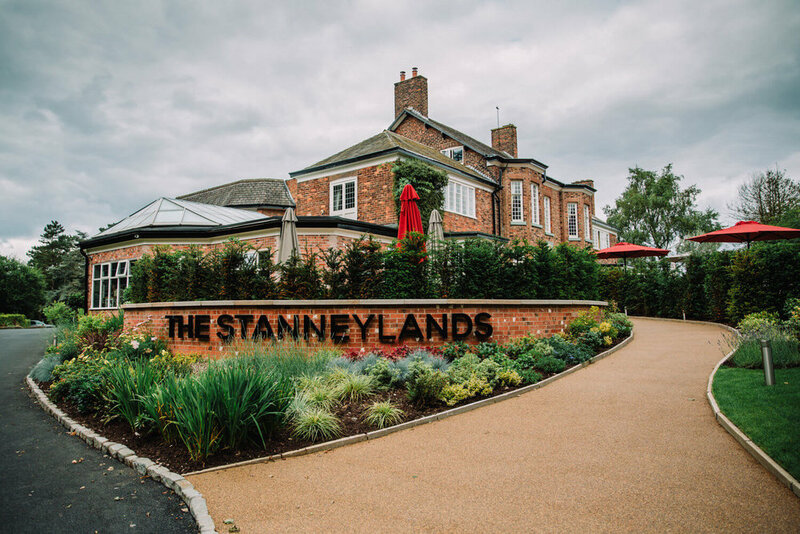 I then made my with with the newlyweds for a few moments to capture some natural relaxed portraits of the two of them in the gardens of Stanneylands hotel before we headed back inside for the meal and to enjoy an evening of celebrating!